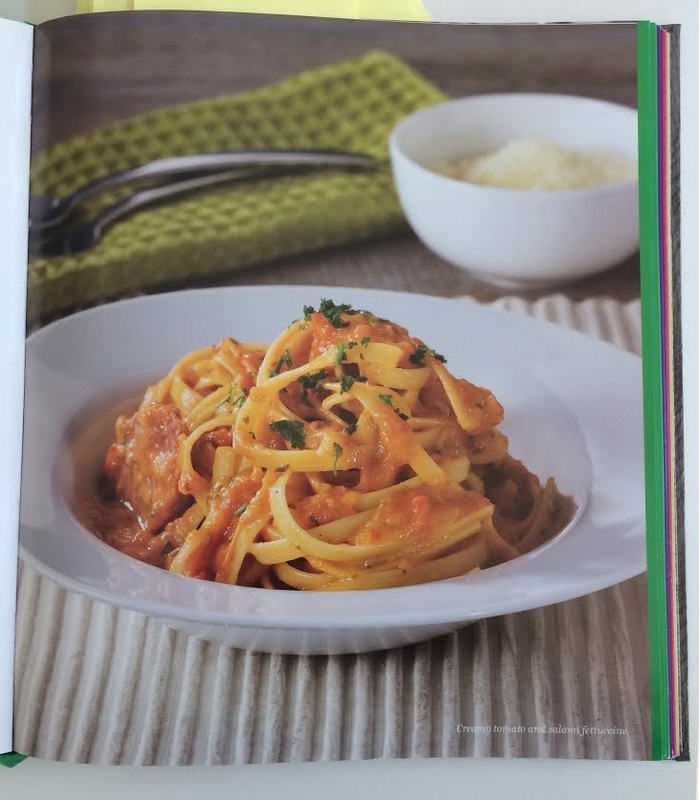 It was Ella’s turn last week to choose a recipe to try for dinner, and she choose a new pasta recipe. I was very hesitant about this, as Zach will only eat pasta without sauce, and this recipe was cooked in the Thermomix and the pasta was cooked in the sauce (I hadn’t done this before). Weeelllll, knock me down with a feather. Not only did Zach eat it – he liked it! Thankfully so did Ella, so it’s now on our meal rotation. It’s possible to cook it the traditional way, but oh my goodness, in the TM was way too easy (and no extra dishes). Naturally I have made some slight amendments to suit our family but it is based on the TM Everyday cookbook Creamy Tomato and Salami Fettuccine recipe. Click here for link to recipe. If you do not have a Thermomix and would like me to convert this to a normal cooking style recipe, please comment below to let me know.